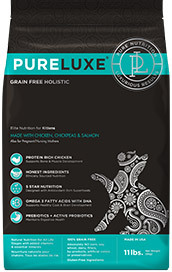 At PureLUXE, we make natural, gourmet food for pets in cities all over the world. Sourced directly from America’s heartland, our food gives your privileged pet a superior level of nutrition designed to provide sustainable energy, immune support, healthy skin and a beautiful coat. Our high-quality pet food includes a special blend of micro-nutrients speciﬁcally formulated for both the energizer bunnies and the couch loungers. Pureluxe is the perfect food for your privileged pet. As seen on our labels, our easy-to-understand ingredients represent the benchmark quality of our pet food. What the average consumer doesn’t know is that for each ingredient there are many quality levels and most companies use the cheapest quality which can generally come from China. We do not use Chinese ingredients. See our Transparency in action.We select Grade A un-adultered ingredients to be included in each of our diets: no ﬁllers, no sugars, no by-products, and no chemicals. Our raw ingredients are naturally preserved as is our ﬁnished product. The easiest thing to see yet the most difficult to understand is how a pet product is Luxurious (Luxe). Our food provides Luxe results, which are represented by the visible health of your pet’s eyes, skin, nails, coat/fur, and stool. We are in a luxury business. 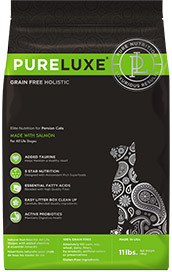 Pet food is expensive and you deserve to get what you are paying just like your pet deserves elite nutrition. 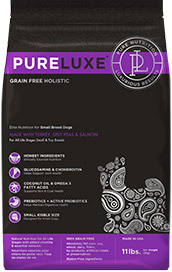 You can be assured a happy and healthy pet when giving a Pureluxe formula, because the luxurious results will visible on a daily basis. Beyond having an amazing, world class pet food we are Honest & Transparent about our business and our products. We are fun, We are fancy, and We are memorable. Our goal is not only to provide your pets with great health through our Elite Nutrition, but we want to gain your Trust and Loyalty as a Luxurious pet food brand. 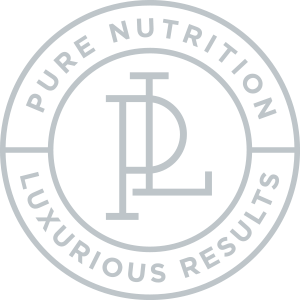 At PURELUXE we want to gain your trust and confidence. 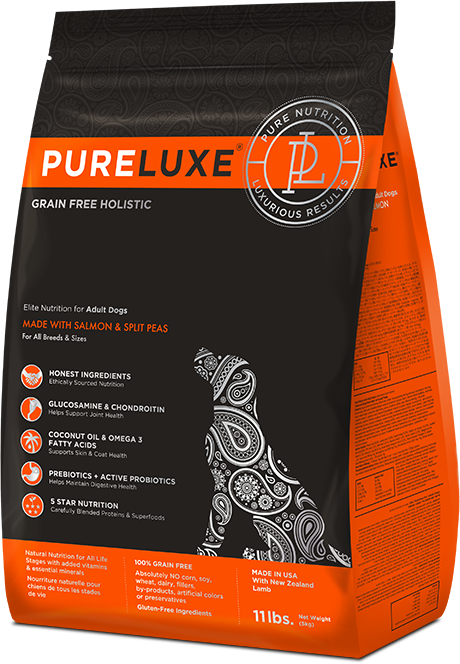 Since the conception of our brand we thought that the customer should know more about the pet food than what is simply listed on a bag. We want to put our money where our mouth is. Hence, plug in the production code on your bag of food and type the formula name, bag size and your contact details and we will send you a report about the product you are feeding your dog or cat. 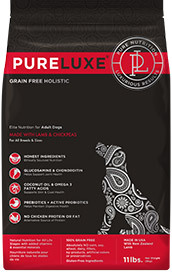 This is a great way to be a partner in this process and to feel the security that what you are giving your beloved pet is actually what you see on the bag with no exceptions. We strive to be a socially responsible company, and we devote a lot of time and effort to ensure that we are doing our best to make a difference in the world. We welcome sponsorship opportunities to support rescue events, we educate pet parents on health and nutrition for their pets, we provide a platform for other companies to join forces with us to make the world a better place for everyone, every day. Are you interesting, fun, professional, love pets and need a job?